This post speaks for itself really. 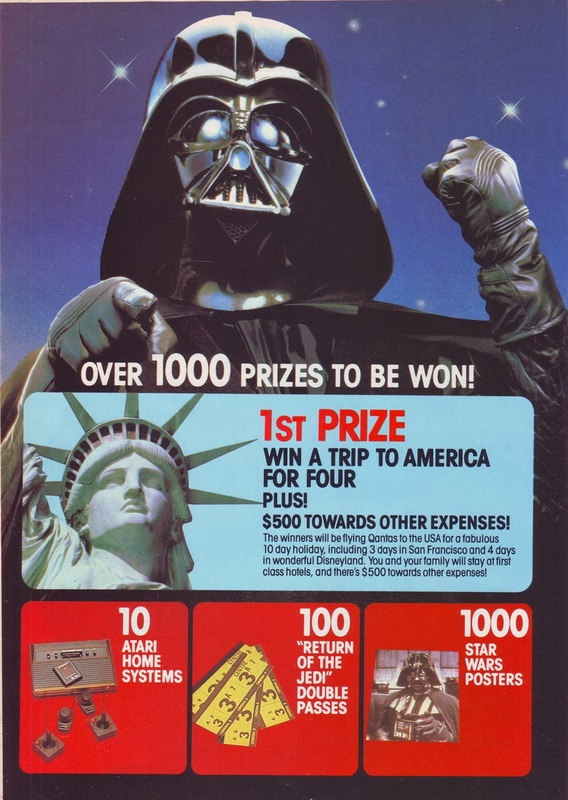 A clutch of vintage ads released in Australia when Return Of The Jedi came out, circa 1983-1984. They just don't make movies, or advertisements, like this anymore sadly enough. Still, we must be thankful that people clipped and saved stuff like this, and that people (like me) are willing to buy and digitalise the material so others can view it. There'll be more to come, including the article that appeared in the ABC 24 Hour Magazine, one of the hardest to find of all the Star Wars related cover stories. I think it'd be a safe bet to say that a lot of people would never have seen these ads before, so enjoy!